Coffee percolator; a percolator in three pieces, consisting of a base, porcelain beaker and glass percolator. The base is made from rectangular porcelain, with a bright pink glaze on the upper side and scrolled gilt detailing. 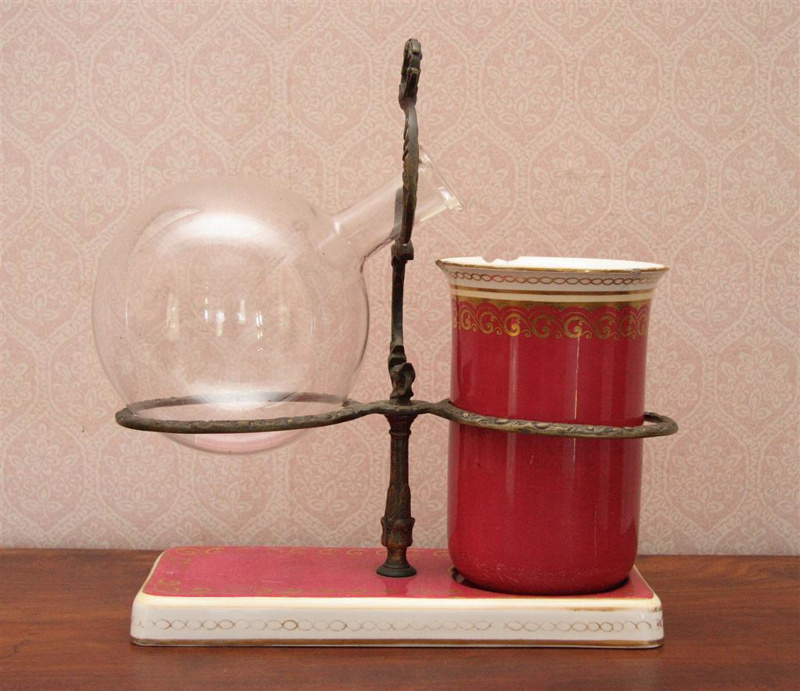 Attached in centre is an ornate cast brass stand which scrolls upwards to provide a rest for the neck of the percolator, and has two circular rests for the percolator body and beaker. The beaker is cylindrical with a narrow lip, made from porcelain with a bright pink external glaze and gilt scroll detailing. The percolator consists of a spherical glass bowl with narrow neck with a short lip.